While the fall semester is well underway, we would like to take a moment to share highlights from past and upcoming projects at Lost & Found: The CUNY Poetics Document Initiative, including publications by Audre Lorde, Toni Cade Bambara, June Jordan, Jack Forbes, and Julio Cortázar & Paul Blackburn. Professor Ammiel Alcalay (Graduate Center, CUNY/Queens College, English), is recipient of an American Book Award in recognition of his work as Founder and General Editor of Lost & Found: The CUNY Poetics Document Initiative! The American Book Awards, awarded annually by the Before Columbus Foundation since 1978, honor outstanding achievement and contributions to diversity in American literature. Visit our website here to read more about Ammiel Alcalay and the award-winning work of Lost & Found. Hettie Jones & Claudia Moreno Parsons from "Letters, Friendship, & Feminism"
We are also honored to cosponsor two events in tribute to Joanne Kyger, an author, friend, and inspiration to Lost & Found on Mon, Nov 6th at the Poetry Project, and Tue, Nov 7th at Poets House. And thanks to everyone who visited Lost & Found in person to at the Brooklyn Book Festival! 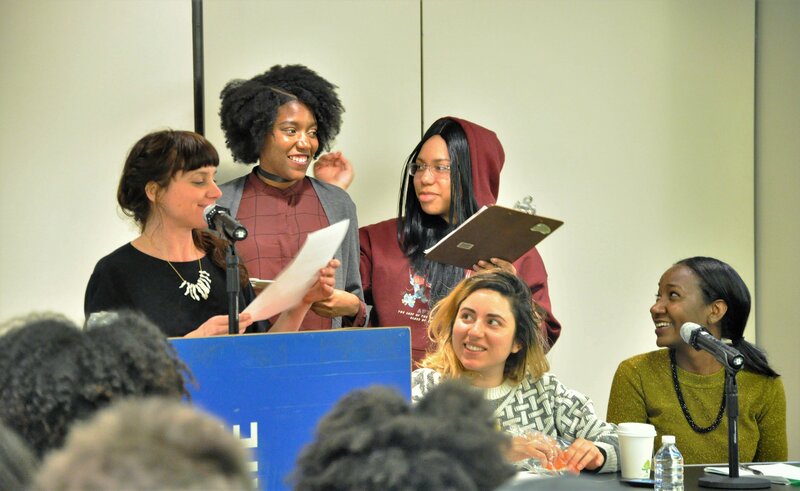 Lost & Found also continued its partnership with Raven Press, a student-run small press, founded by high school students at Brooklyn public school Academy for Young Writers, culminating in an anthology of students’ post-election writing, and their participation in "The Power of Publishing," a day of workshops panels, and readings. Together with an extraordinary panel of poets who double as publishers—Mirene Arsanios, Mahogany L. Browne, Farnoosh Fathi, Adjua Greaves, Zakia Henderson-Brown, Zohra Saed, Nicole Sealey, and Diamond Sharp—students considered how publishing might be used to build community and create agency. Students also discussed strategies on how to confront the privileging of white and/or male perspectives in publishing. Through a generous grant from Humanities New York, Lost & Found is excited to continue its partnership with Raven Press in 2018. This year, we will also work with Cave Canem and Raven Press on a series of readings, conferences, and a chapbook publication. Alex Cuff, Jessica Michel, Erica Deberry, Mirene Arsanios, and Zakia Henderson-Brown at "The Power of Publishing"
The Poetry Center's column, White Gloves took an astute look into Series VI, as well as past series, emphasizing the importance of these texts to modern poetic practice. Click here to read the full article. Lost & Found Editor Zohra Saed was interviewed by Leonard Schwartz on Cross-Cultural Poetics about the research process for her archival work on Langston Hughes in Turkestan. Lost & Found, along with the PhD Program in English at the Graduate Center, CUNY is thrilled to announce that we will be hosting Professor Dorothy Wang of Williams College, recipient of an American Council of Learned Societies (ACLS) Frederick Burkhardt Residential Fellowship. This highly competitive fellowship provides “leaders in their fields with resources to pursue long-term, unusually ambitious projects.” Author of the award winning Thinking Its Presence: Form, Race, and Subjectivity in Contemporary Asian American Poetry (Stanford University, 2013), after which an annual conference, “Thinking Its Presence: Race, Creative Writing and Literary Study,” has been named, Professor Wang plans to pursue a project titled: "'Things Unintelligible, Yet Understood’: Race and the Genealogies of American Poetics." In addition to continuing an ongoing dialogue on poetics and cultural politics with Ammiel Alcalay, Professor Wang intends to work with Lost & Found editors and other graduate students in order to further explore new approaches to literary history through the collaborative approach to archival work initiated by Lost & Found. For more information about Professor Dorothy Wang, her ongoing research, and her ACLS Frederick Burkhardt Residential Fellowship, click here. We are excited to announce the first annual Lost & Found Archival Research Grant for Community College Faculty is awarded to Professor Sara Rutkowski of Kingsborough Community College. Her project unearths archival materials from the Federal Writers’ Project (FWP), housed at both the Library of Congress and the New York Public Library. Her findings reveal the influence of this Depression-era program on a new generation of postwar writers. Among the most exciting materials are children’s rhymes that Ralph Ellison collected in Harlem while working for the FWP in the late 1930s. Charming and irreverent, the rhymes have an improvisational quality that captures the idiom of 1930s Harlem, offering readers an exceptional glimpse into American history through children’s eyes. Click here for more information about the Research Grant for CUNY Community College Faculty. 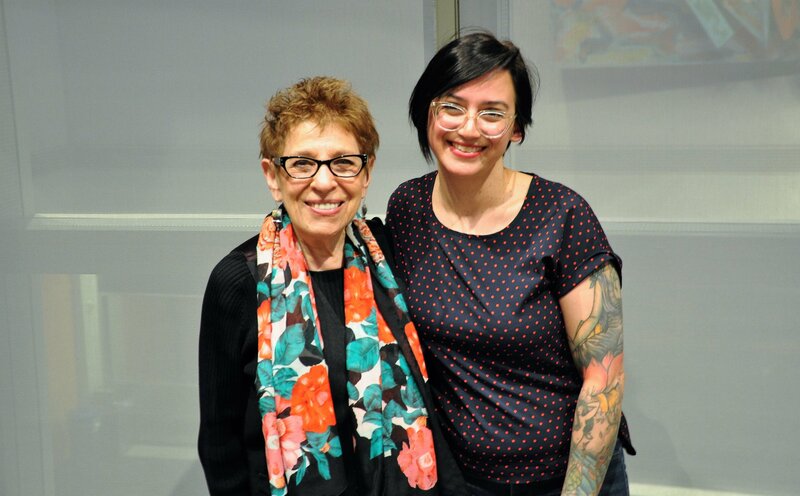 Poets House and Lost & Found are proud to award the inaugural Poets House Special Collections Research and Writing Fellowships to CUNY doctoral students Jessica Fletcher and Sarah Ruth Jacobs as part of the new Poets House initiative to digitize rare chapbooks. The fellowship is for students working at the intersection of mid-century poetics, small press publishing, book arts, the digital humanities, and archival scholarship. The Fellowship provides an opportunity to help contextualize Poets House’s digitized chapbooks, which will be launched on the Poets House website beginning in fall 2017, making the organization’s 70,000-volume poetry library and vast chapbook collection more accessible. Click here for more information about the Fellowship with Poets House. Poets House’s special collections chapbooks include rare items that are being digitized for release on the Poets House website. Photo by Hafizah Geter. Lost & Found Archival Research Grants are designed to support student archival research in 20th century cultural materials, with a focus on poetry and poetics. The work supported by these grants is multivalent and involves archival research at all stages of its development, digital practices, public events, oral history, mentorship, transcription, and editorial support. The recipients of the 2017-2018 Archival Research Grant are: Christopher Clarke, Brad Fox, Seth Graves, Laura Hillegas, Jojo Karlin, Alexis Larsson, José Alfredo Menjivar, Jaime Shearn Coan, and Stephanie Vella. To learn more about these Lost & Found fellowships, including students’ and Fellow’s project descriptions, visit our website here. The Diane di Prima Fellowship is awarded for direct work on and with Diane di Prima, with a particular emphasis on working with archivists and institutions to envision new channels of access across various holdings and modes of her oeuvre. The 2017-2018 Lost & Found Diane di Prima Fellows are: Iris Cushing and Mary Catherine Kinniburgh. Lost & Found Legacy Fieldwork Grants are dedicated to projects with unusual circumstances that might not be tied to an immediate research or archival project. Legacy Fieldwork is conceived of as the application of skills acquired through the archival research and publication process of Lost & Found to serve and educate the literary community writ large. The recipients of the 2017-2018 Legacy Fieldwork Grant are: Daisy Atterbury and Josh Schneiderman. 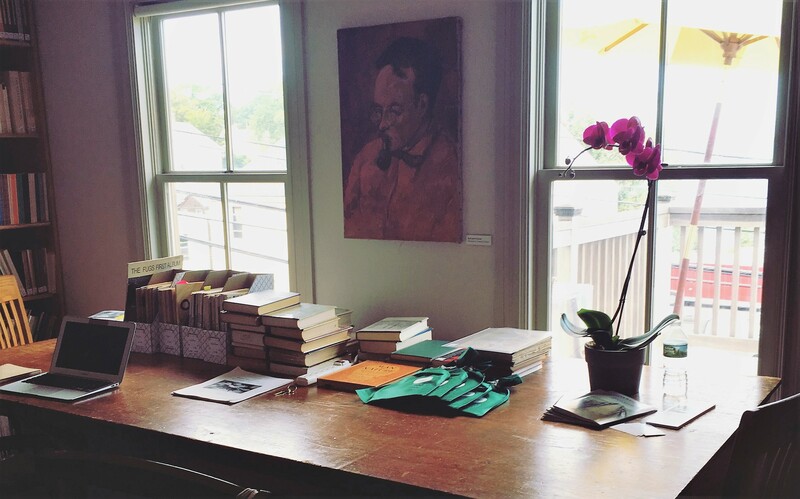 Since fall of 2016, Lost & Found Editor Mary Catherine Kinniburgh has been working with the Maud/Olson Library, a recently acquired special collection at the Gloucester Writers Center in Gloucester, to provide research support and technical consultation for digital, cataloging, archival, and access considerations within the collection. At the intersection of professional conversations on community archives and grassroots work on preservation and local history, the Maud/Olson Library is a valuable scholarly resource on the far-ranging topics represented in Olson's library—from Gloucester's maritime traditions to mimeograph magazines and beyond. Lost & Found General Editor Ammiel Alcalay has been consulting with filmmaker Melody London and her collaborator Lewanne Jones on an independent documentary focusing on the history and impact of the Jack Kerouac School of Disembodied Poetics at Naropa University, originally founded by Allen Ginsberg, Anne Waldman, and Diane di Prima. The documentarists have also been looking at Lost & Found projects based on Naropa materials to record the far-reaching influence of Naropa's audio archive. The Primary Source Working Group on Special Collections, Archives, and Libraries provides a space for students, faculty, and staff who are interested in deep engagement with archives and special collections: for interrogating research methods, recovering histories and silences, and developing technical skills for professional experience. 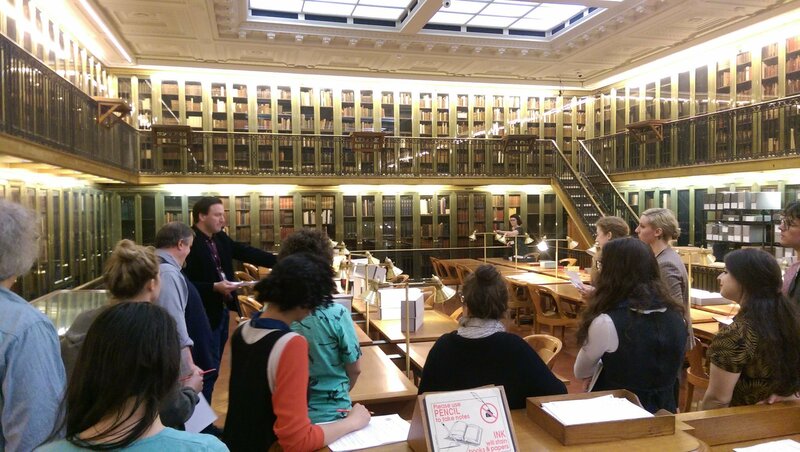 Collaborative Research Seminar at NYPL. Photo by Alycia Sellie. This spring, the pilot program of the Collaborative Research Seminar on Archives and Special Collections collectively discussed methods for engaging primary source materials in their research, grappling with a variety of questions, from citation management to what it means to encounter primary source materials as embodied readers in space and time. Seminar participants will document their experiences in a series of blog posts as examples of the possibilities primary research affords. 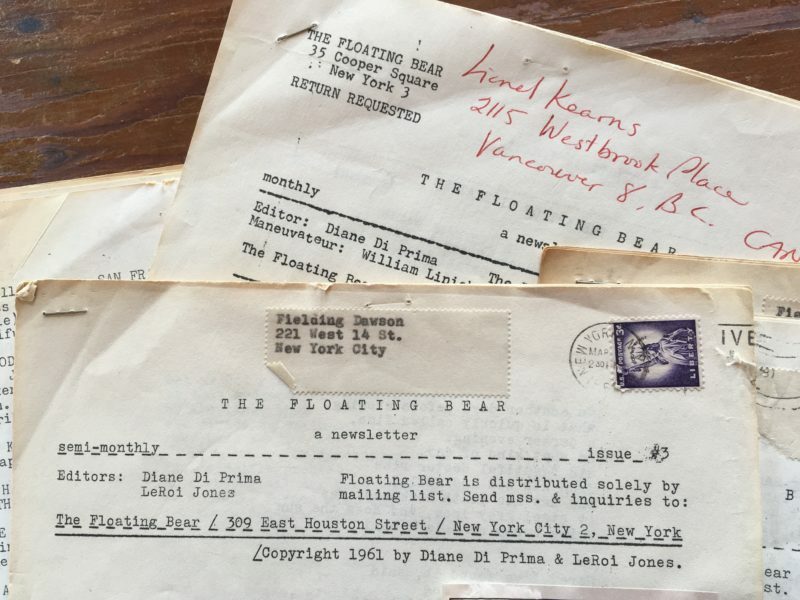 Click here to read the first post by Lost & Found Editor Iris Cushing reflecting on reading The Floating Bear, a bi-monthly, mimeographed newsletter started in 1961 by Diane di Prima and LeRoi Jones. The post includes an introduction from Mary Catherine Kinniburgh, and a link to the catalog details for The Floating Bear. Click here to read the second post by Cory Tamler, a student in the PhD program in Theatre at the Graduate Center, CUNY, who brings her disciplinary background in performance studies to explore Valerie Solanas' self-annotation of SCUM Manifesto as a textual performance of becoming. 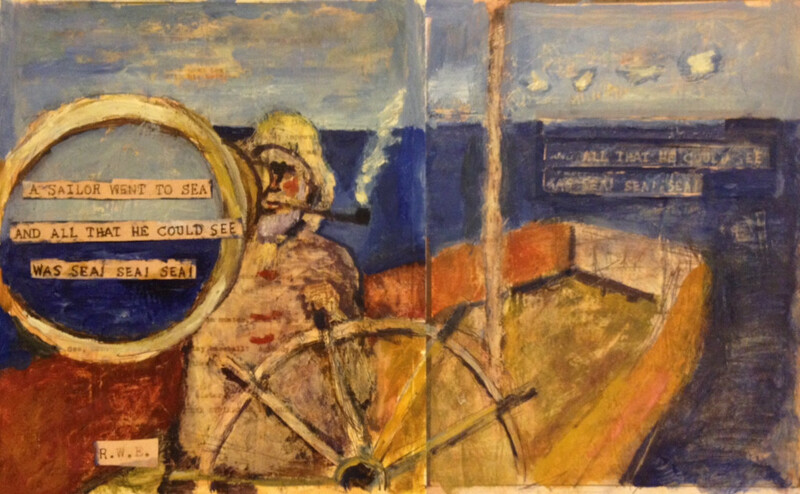 The Floating Bear mimeographed newsletter. Photo by Mary Catherine Kinniburgh with permission of the Maud / Olson Library. The major American poet, radiant mentor, and a central poet of the San Francisco Renaissance, Joanne Kyger was a generous friend and visionary presence to Lost & Found, and we deeply mourn her loss. Her work continues to be an inspiration for all of us. Kyger's involvement with Lost & Found began in Series III with the publication of a selection of her letters “Communication is essential” Letters to & From Joanne Kyger”, edited by herself and Ammiel Alcalay. 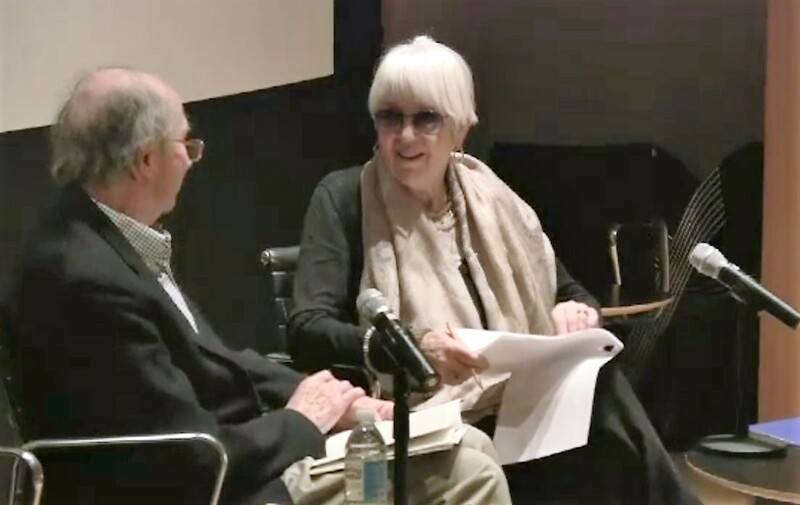 Joanne visited the Graduate Center in 2012 for a rare East Coast appearance giving a memorable and moving reading for the launch of Series III. Her reading was followed by a discussion with her old friend, prose writer and former Black Mountain College student Michael Rumaker. Click here to watch Kyger’s reading and discussion with Rumaker, introduced by Ammiel Alcalay. Joanne Kyger and Michael Rumaker reading for the Lost & Found Series III launch in May 2012. Joanne Kyger will be deeply missed by all of us at Lost & Found. Julio Cortázar, summer 1968 in Provence, France. Photo by Paul Blackburn. Used with permission of Joan Blackburn. Stay tuned for more information on Series VII, which will be available later this fall! If you haven't already, please consider purchasing Lost & Found for yourself or a friend. Buying our books is an excellent way to support collaborative archival research and alternative literary histories. You can purchase Lost & Found Series I - VI through Small Press Distribution, or directly from Lost & Found here, including individual chapbooks. 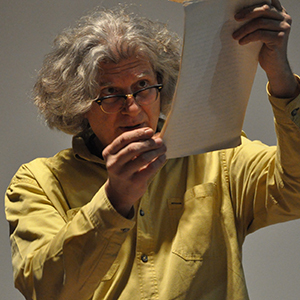 Thank you for your continued enthusiasm and support of Lost & Found: The CUNY Poetics Document Initiative.